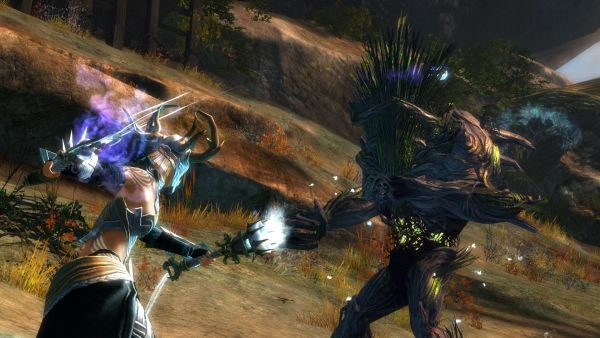 ArenaNet, developer of the acclaimed Guild Wars franchise, today released “Gates of Maguuma,” the newest update to Guild Wars 2 and the premiere of the MMO game’s second season of Living World. There’s a strange disturbance in the tangled western reaches of the Brisban Wildlands, and it’s up to you to find out what’s afoot. Meet up with Seraph forces in Brisban and get to the root of the problem. Once you’ve completed the storyline for Gates of Maguuma, you’ll unlock access to challenging achievements that will push your wits and skills to the limit! Perform daring feats of valor, strength, and sheer guts to prove your worth and unlock rewards! Read more about the Story Journal feature that’s making all Living World story content permanent! This release brings in a whole passel of new rewards, including new crafting materials. Refine Ambrite into sheets to be used in crafting gear with bonuses to Toughness, Healing, and Vitality, or harvest cacti to create delicious new dishes! You’ll also have a chance to find the new Adventurer’s Spectacles and Adventurer’s Scarf, which can be combined to create the stylish and functional Adventurer’s Mantle!